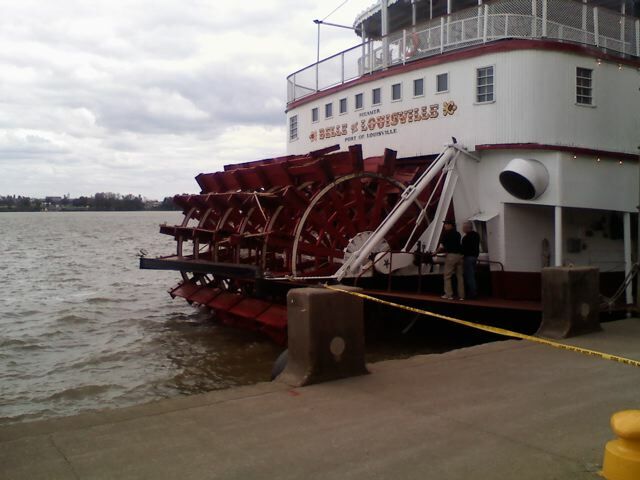 I was on the Belle of Louisville today for her Noon cruise. 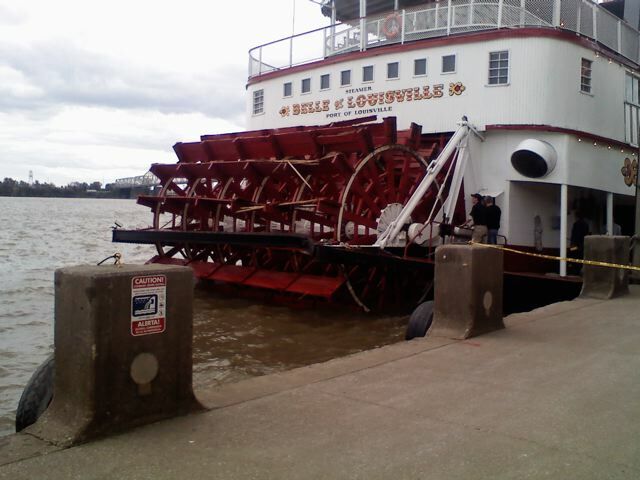 While turning around, the Belle collided with the drydock at the McBride Fleet. 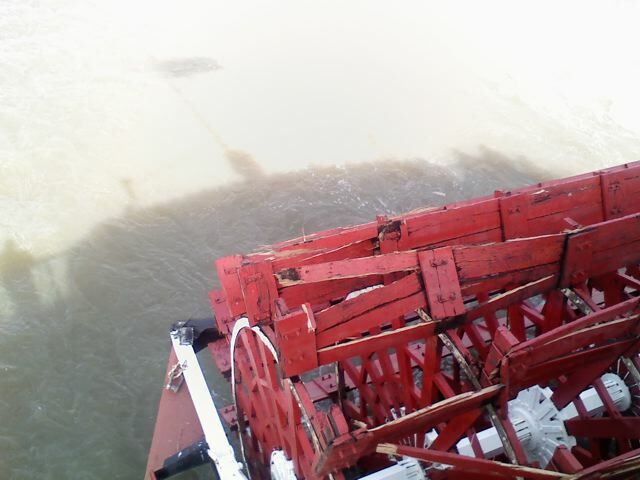 Attached are pictures of the damage to the spreader bar and paddlewheel. 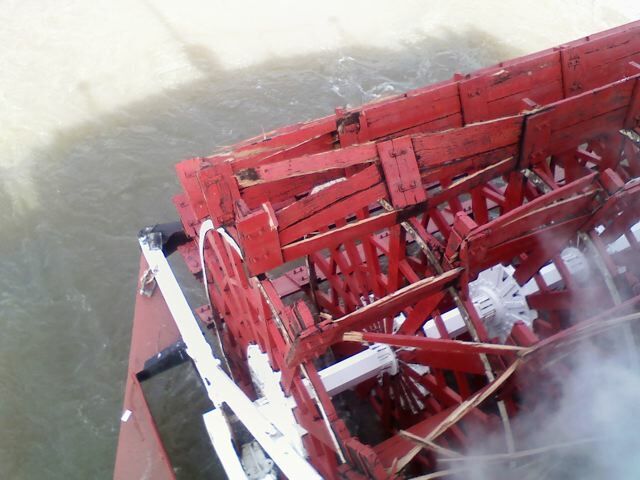 Not a good day for the Belle (or for Steamboating). 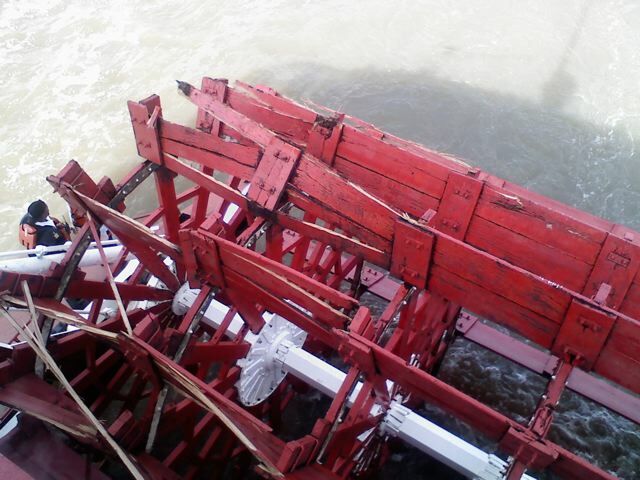 Steamboats.com thanks correspondent John Weise for sending in this message and photos.